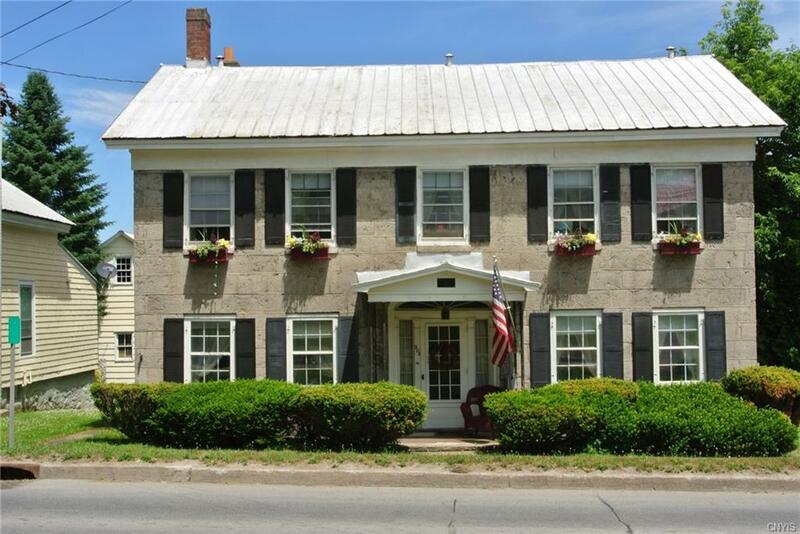 Historic and beautiful limestone house, built in 1850, located in the Village of Boonville. The house has original wood floors throughout the main living rooms and the dining area. Dee set windows reflect the 18" stone walls, great for reading nooks! The kitchen includes a prep area and a full sized walk-in pantry, along with a little tea-room on the side. There are two master bedrooms, one with an attached nursery that could easily be converted to a walk-in closet. There are three smaller bedrooms and a study towards the back of the second story - could be mother-in-law suite conversion with separate entrance already in place. Enjoy the sunporch off kitchen serving as breezeway to the attached garage. Boonville Municipal Power. Black River Canal in backyard, great for paddling.